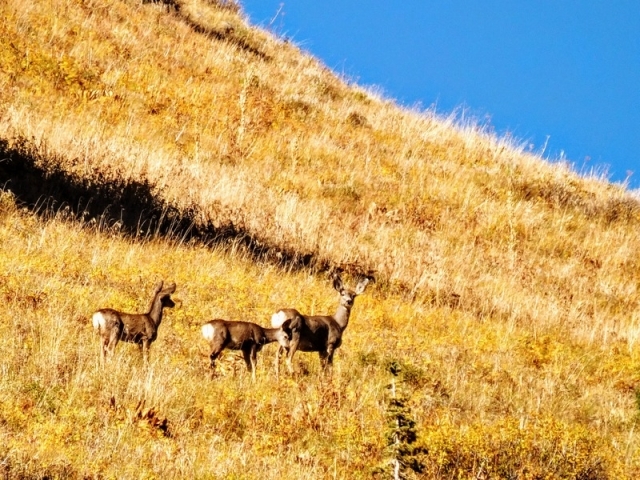 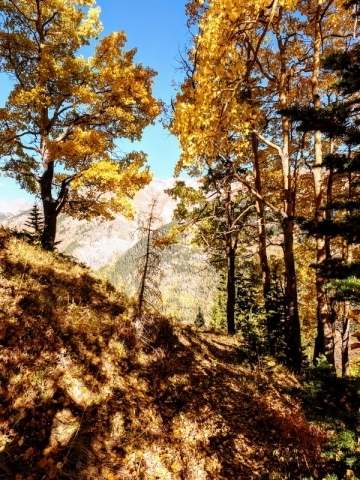 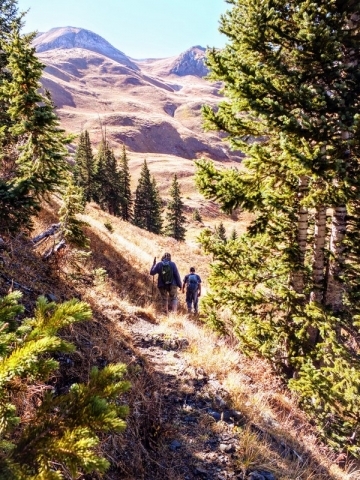 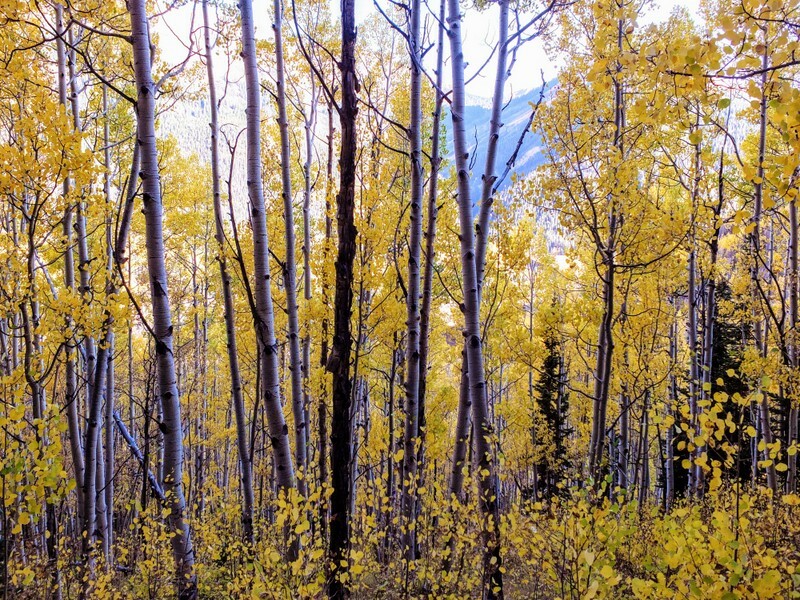 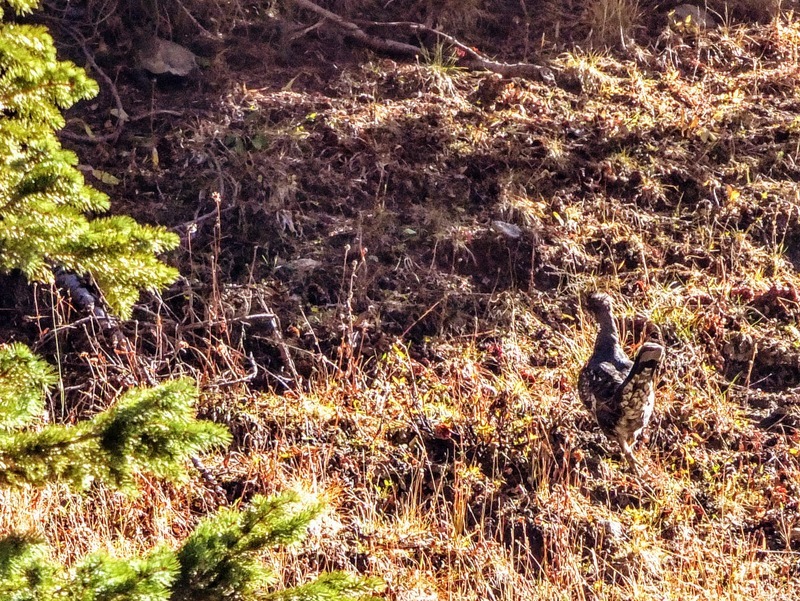 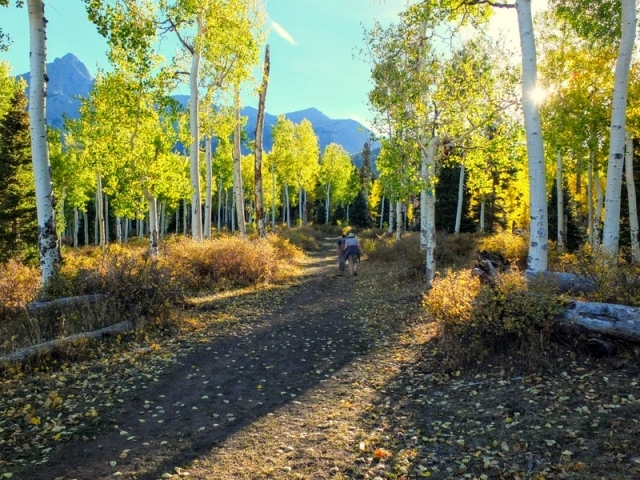 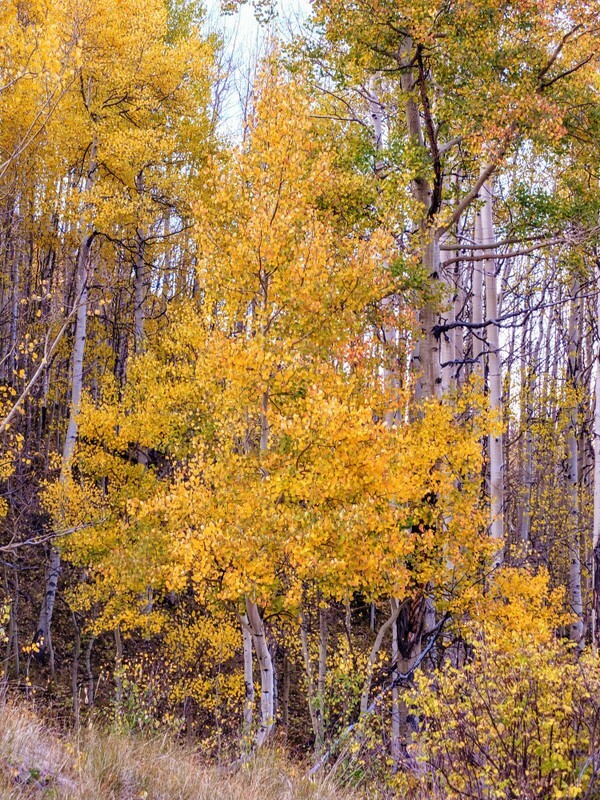 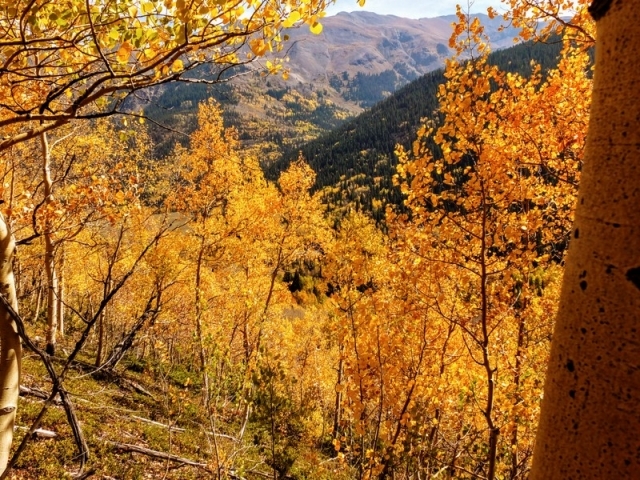 Autumn leaves in the Southern Rockies means its time for some hikes, some beers, and putting the camera to work. Once the cold nights begin to hit, it means that the colors begin to show. 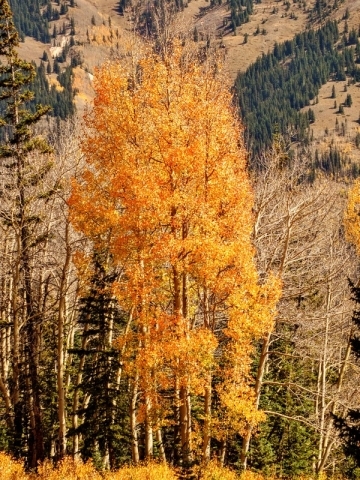 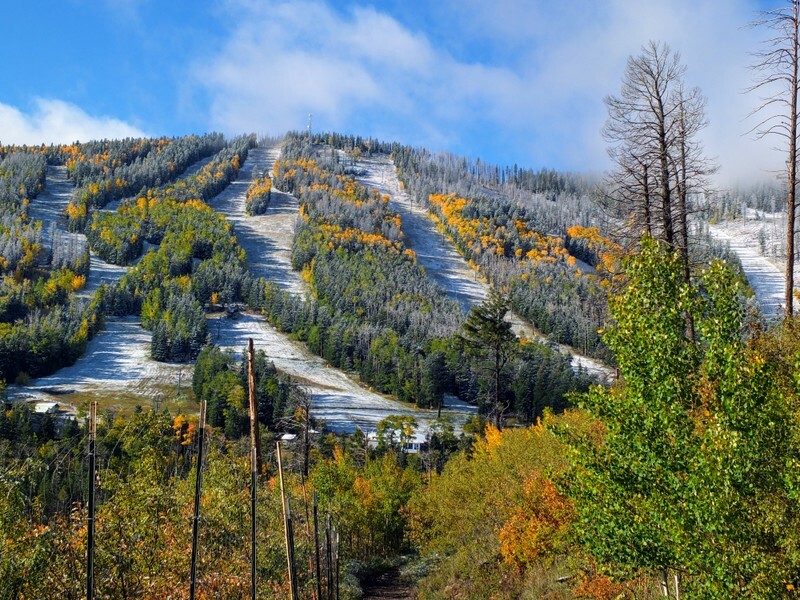 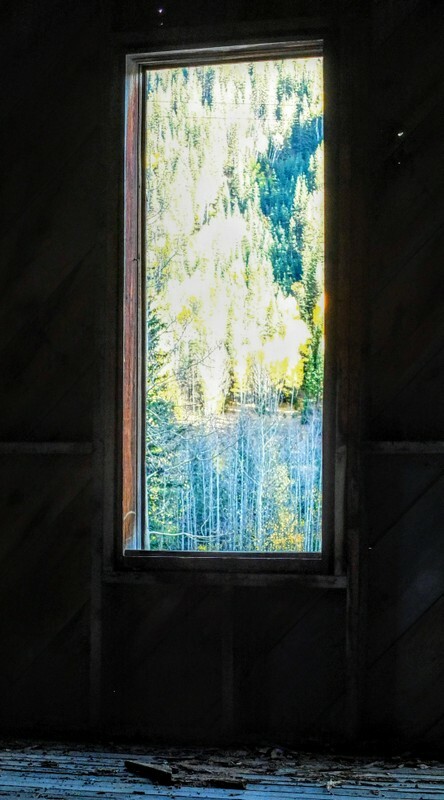 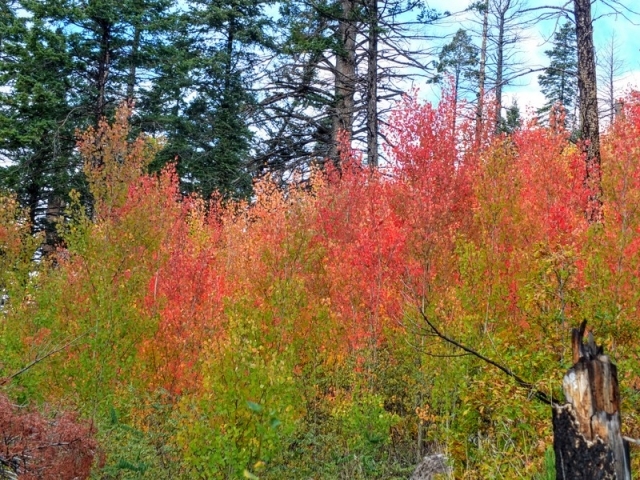 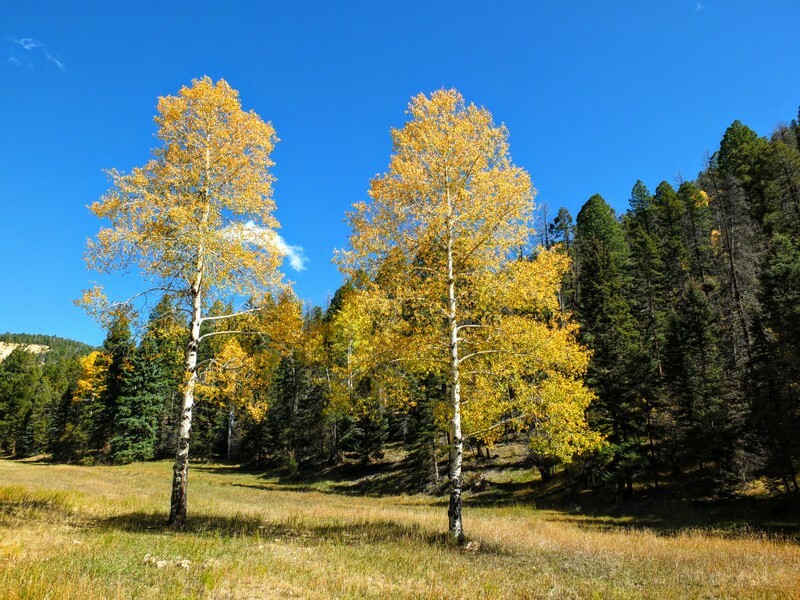 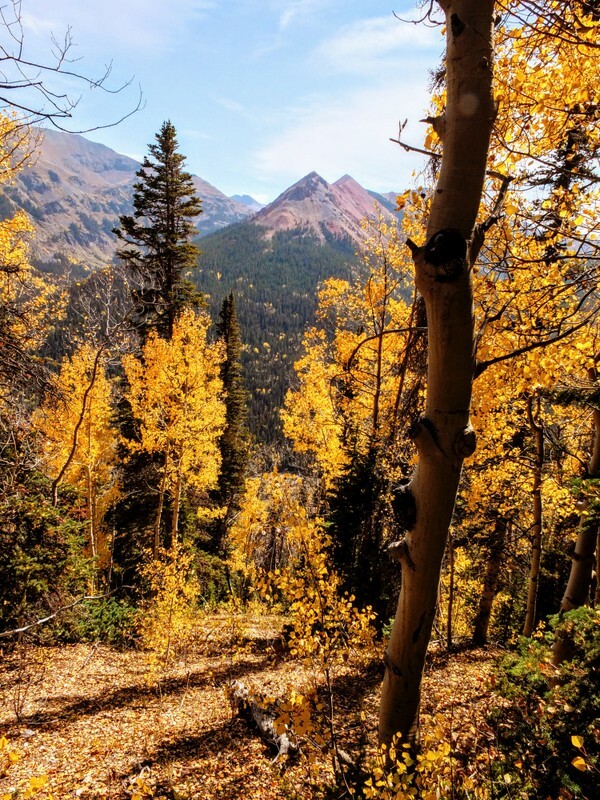 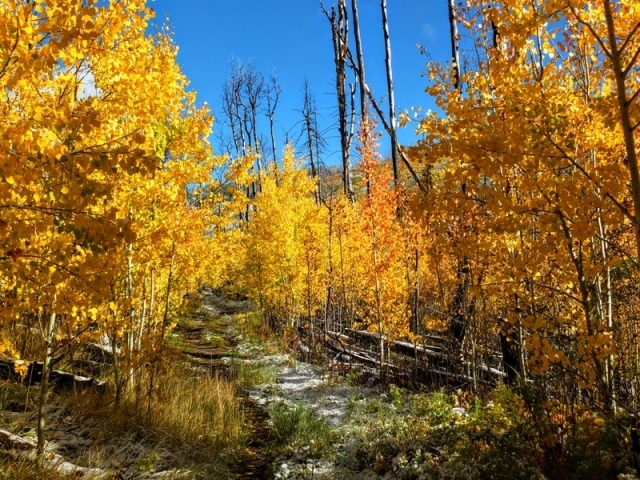 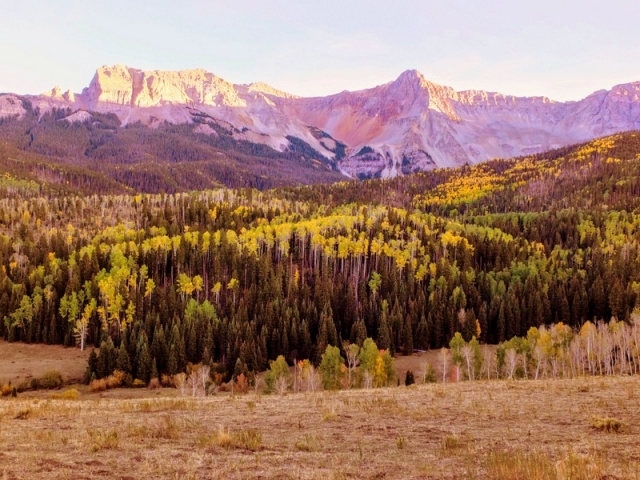 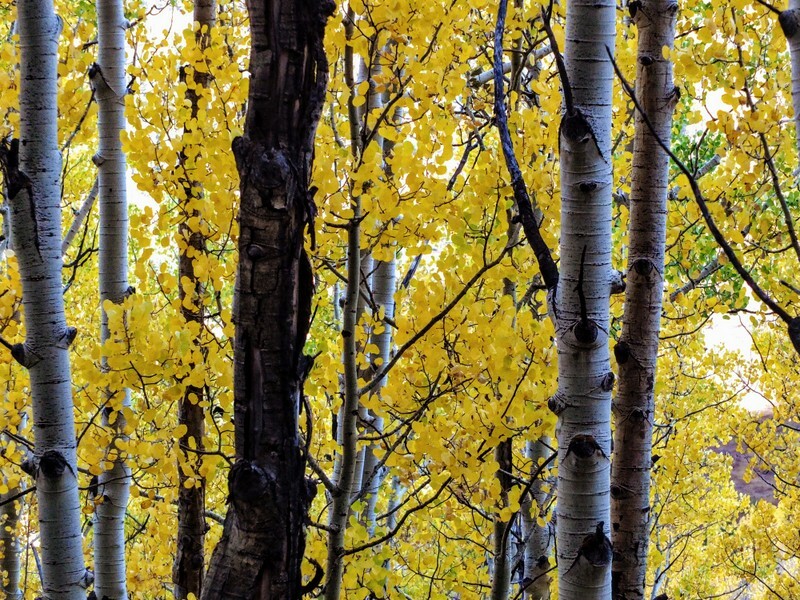 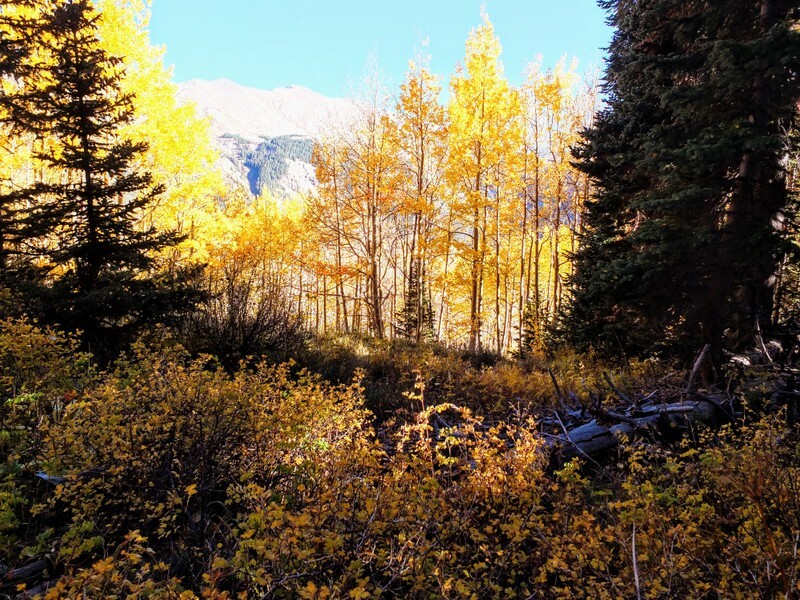 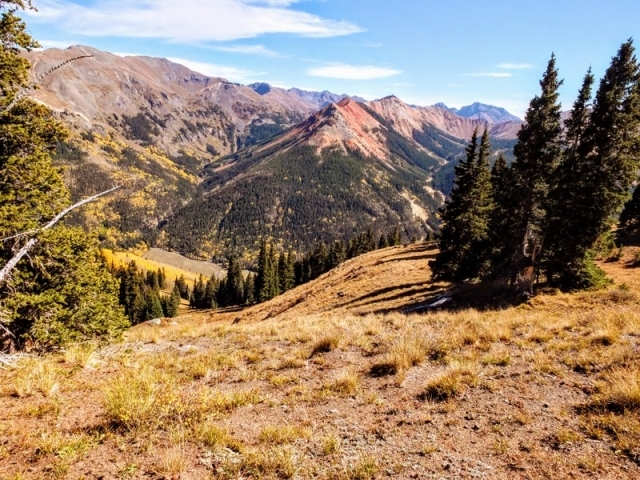 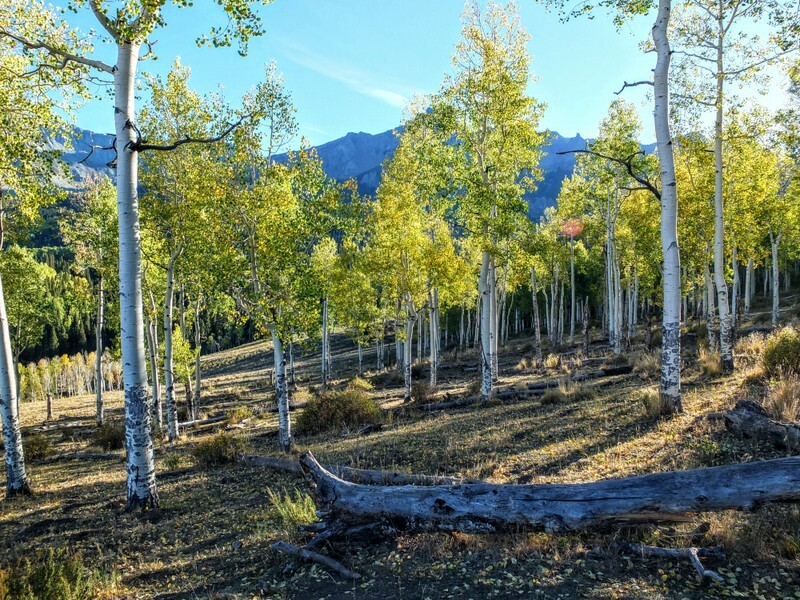 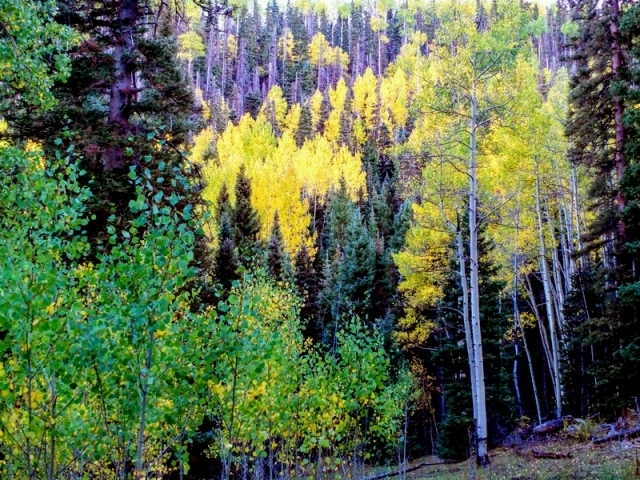 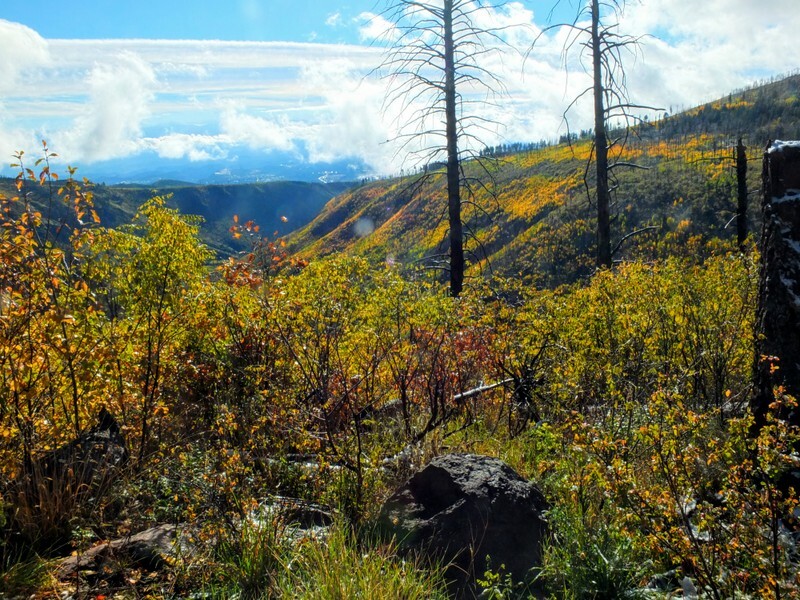 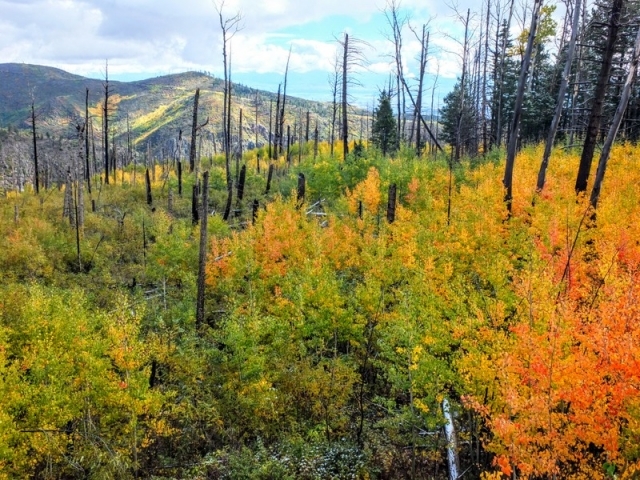 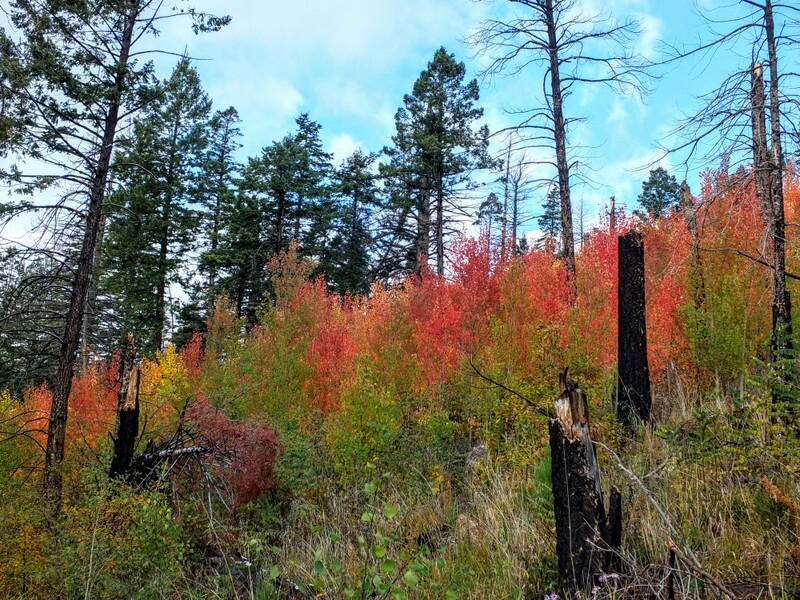 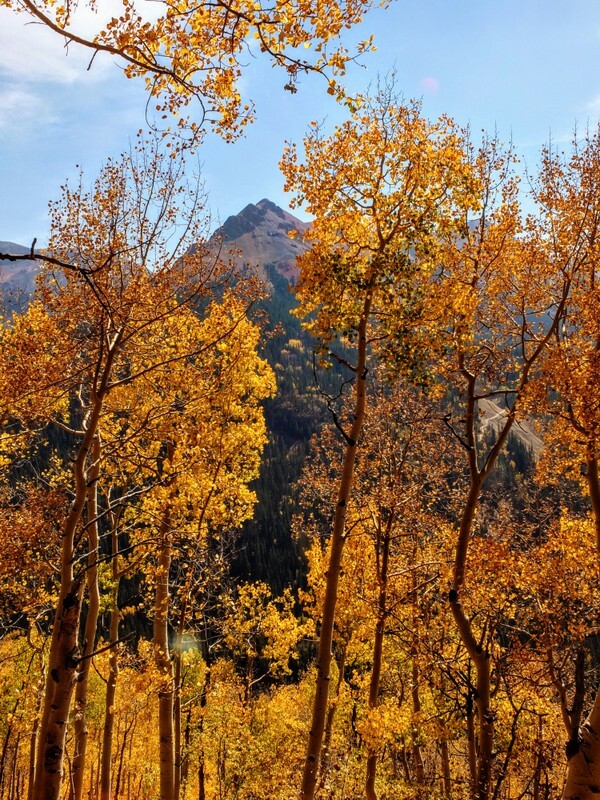 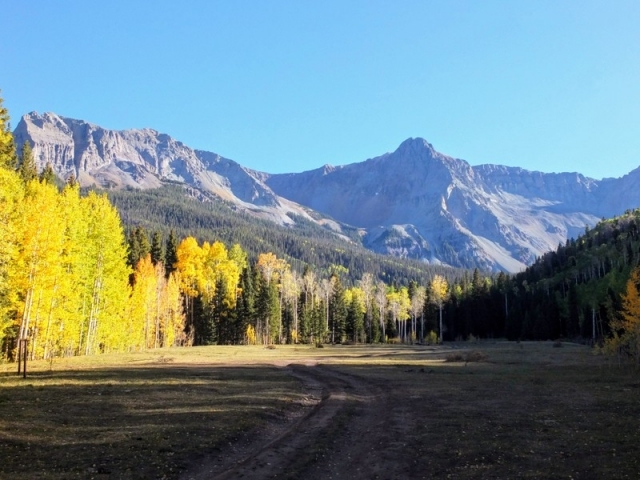 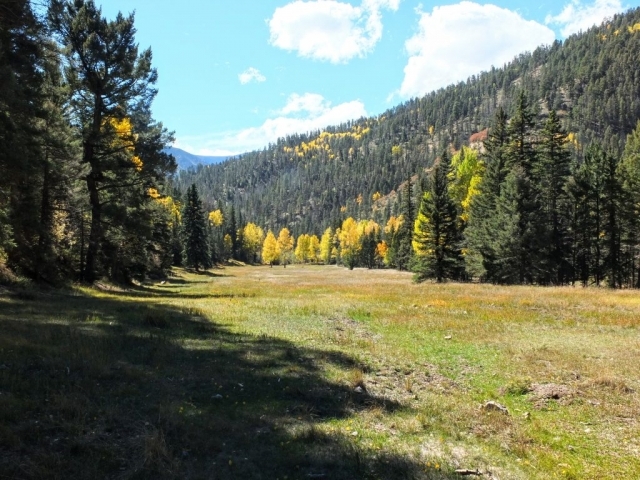 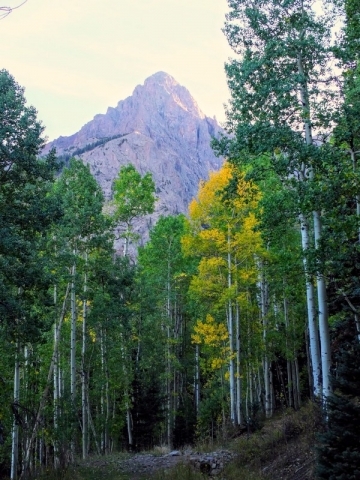 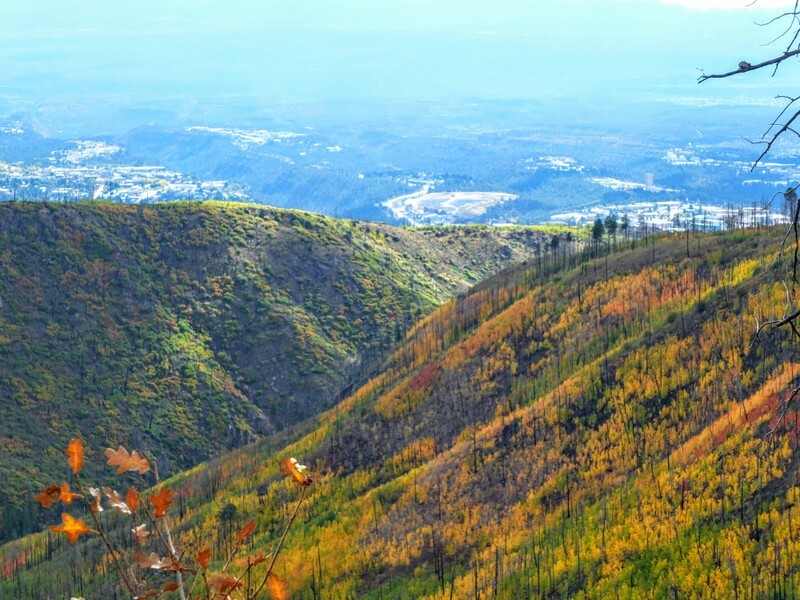 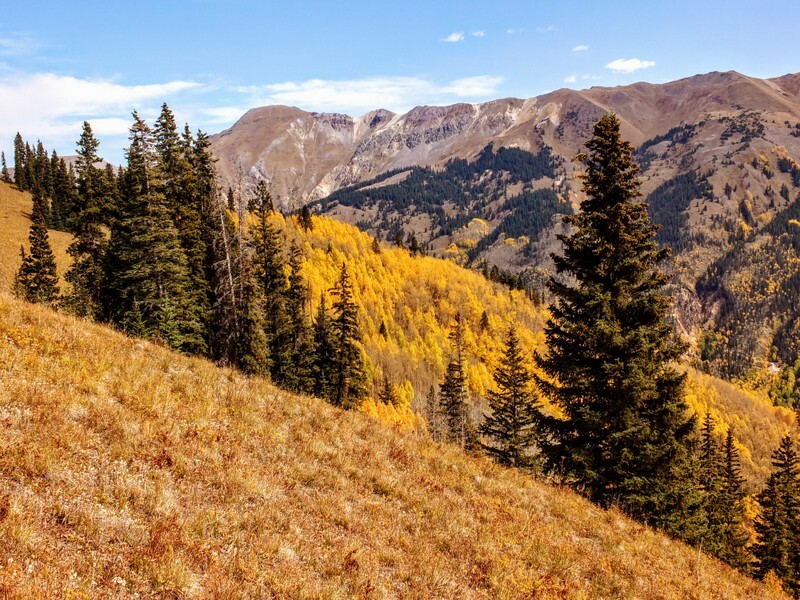 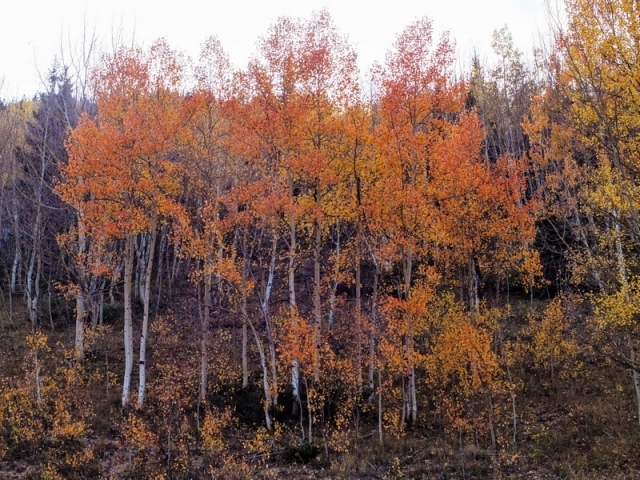 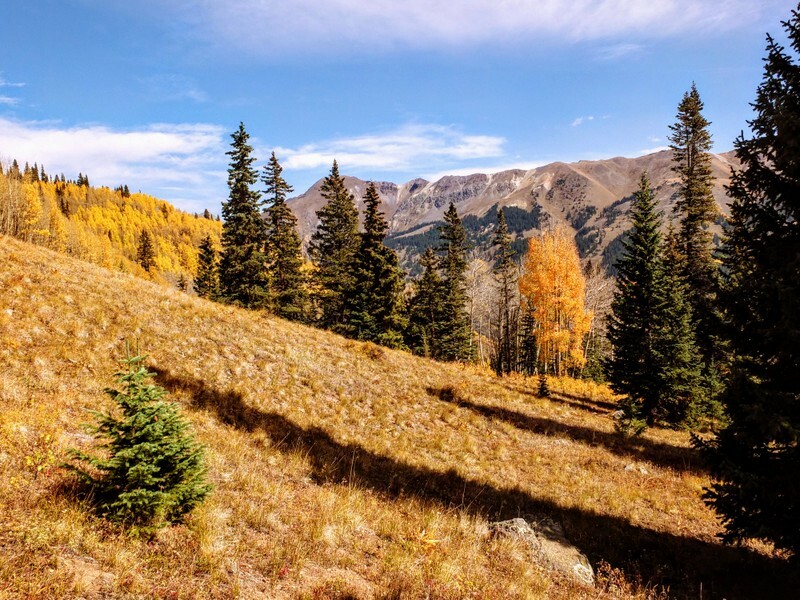 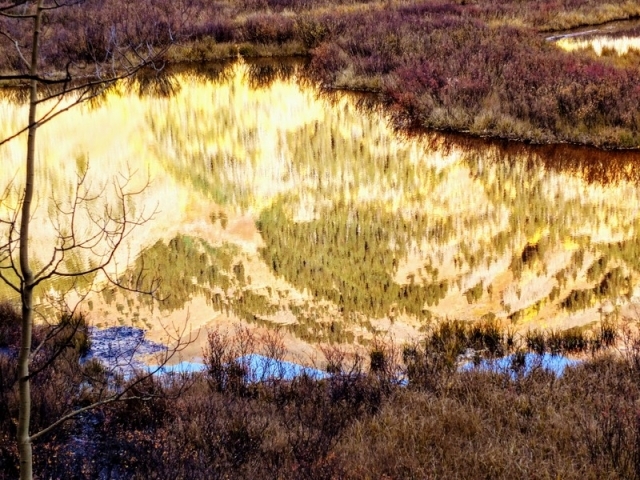 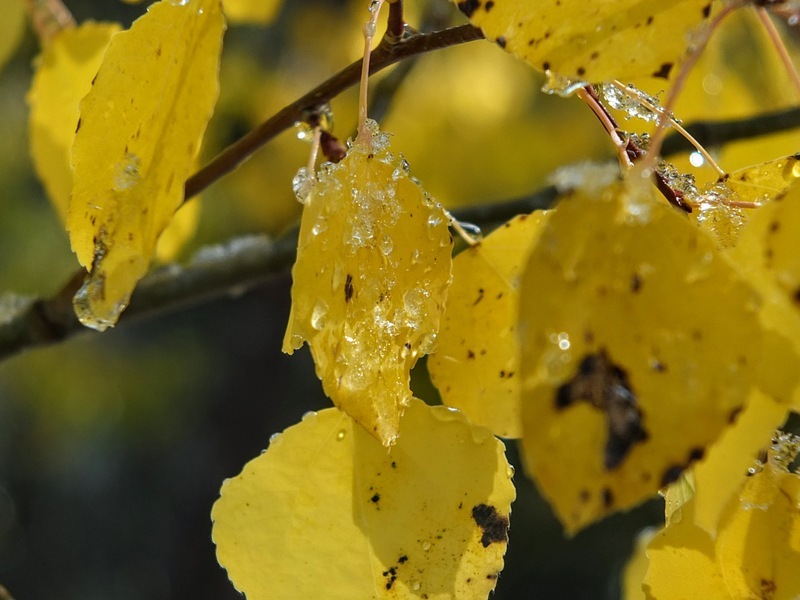 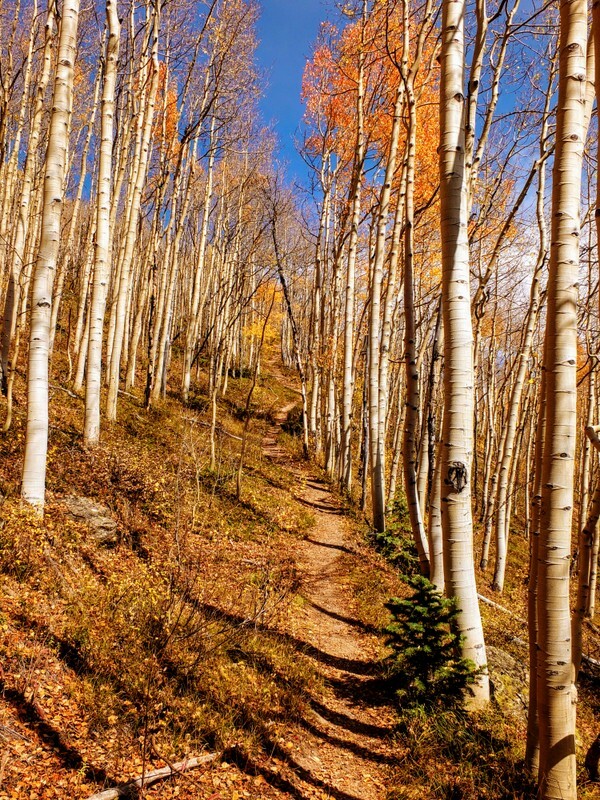 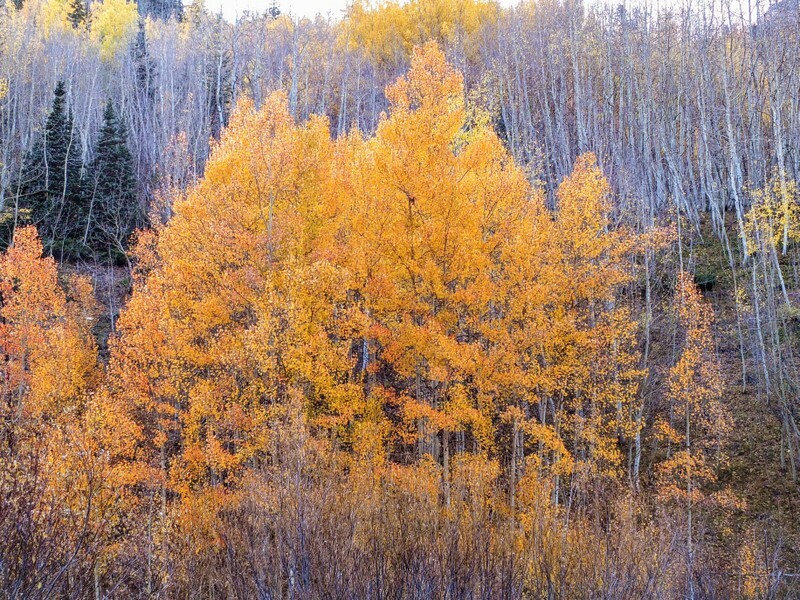 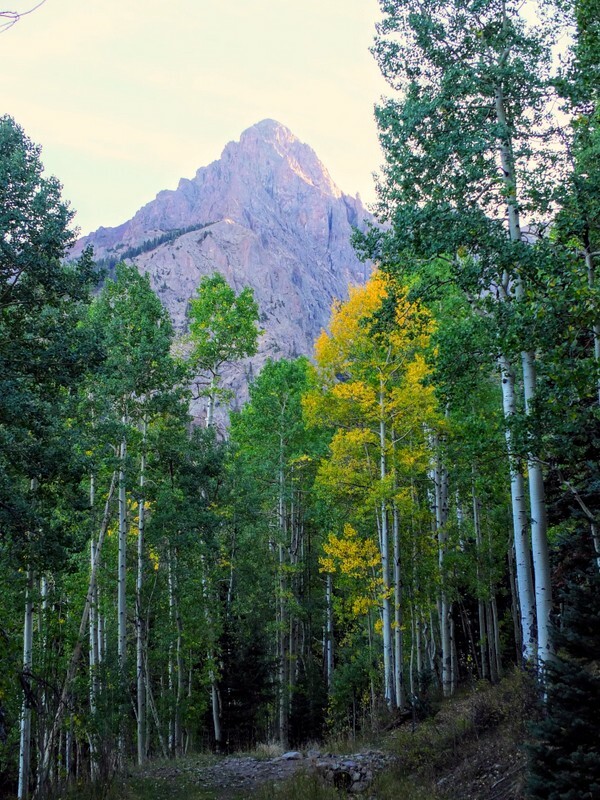 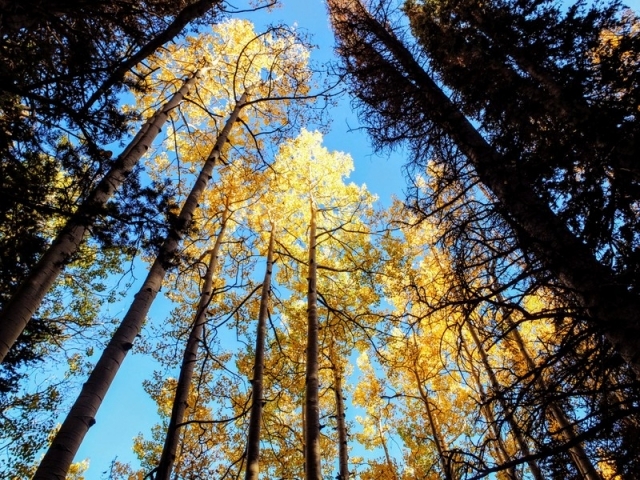 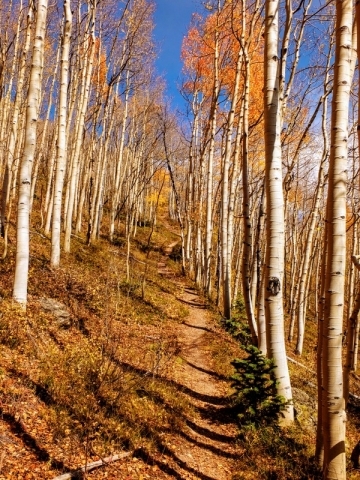 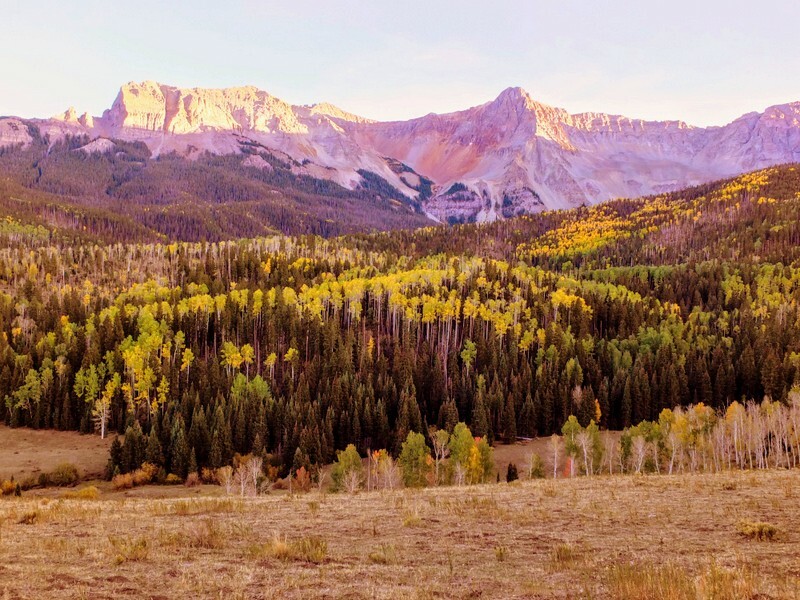 This year we took a short road trip up into the San Juan Mountains of Southern Colorado when they started getting the cold snaps and ended up a week later of so seeing the colors change farther South in the Sangre de Cristo’s and Jemez Mountains in New Mexico. 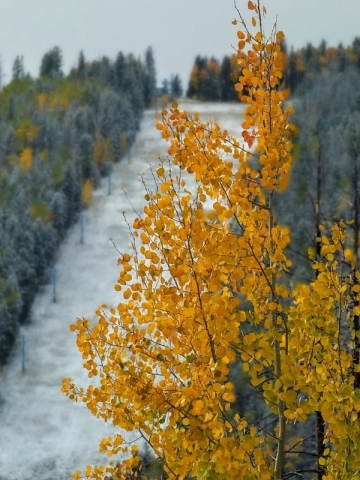 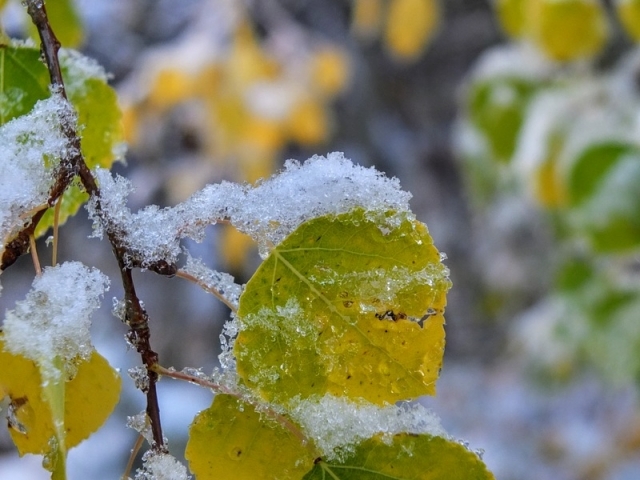 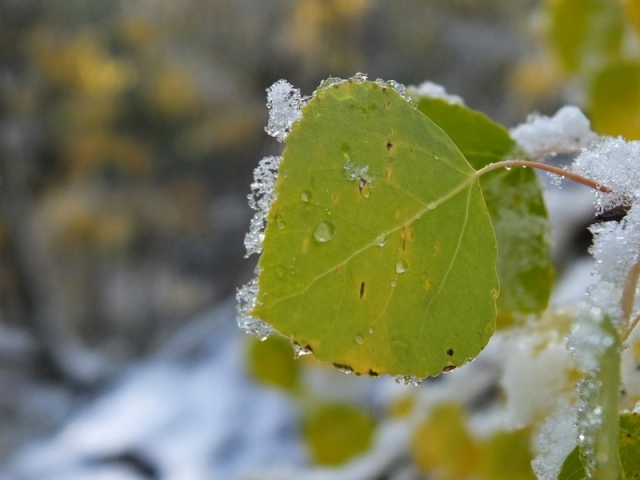 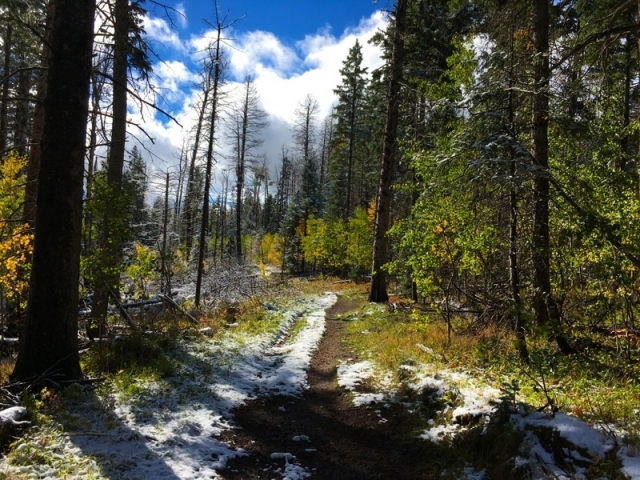 We even got a bonus color — pure white in the form of the first snow of the season in the Jemez. 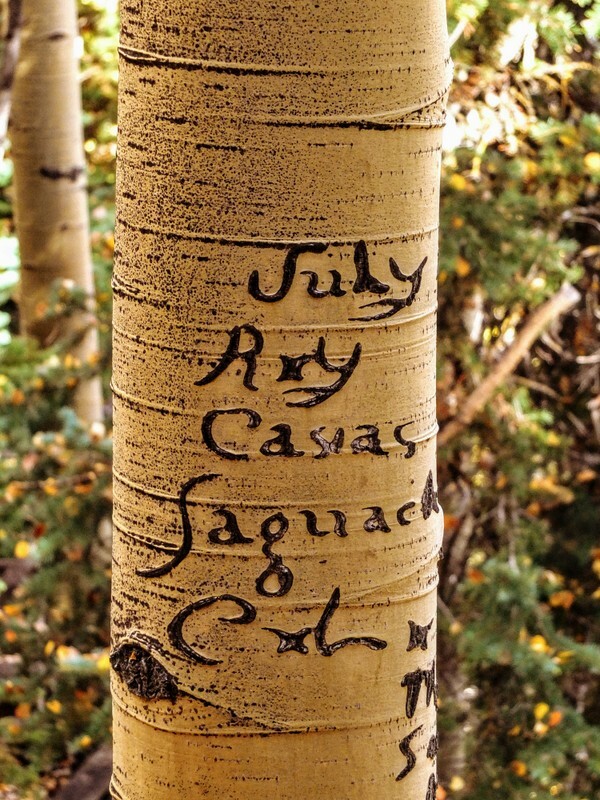 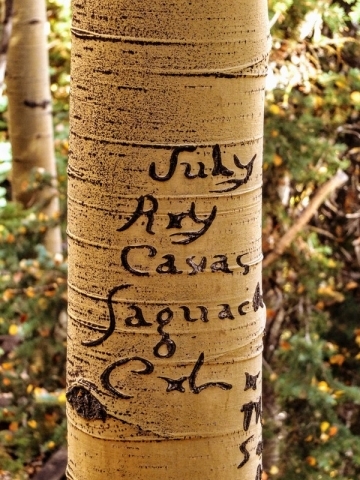 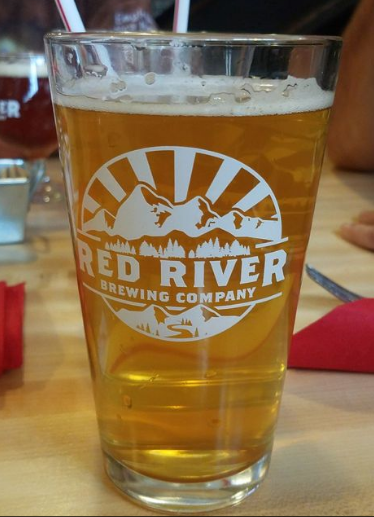 There were colorful beers in Ouray, Colorado; Red River, New Mexico; and Los Alamos, NM to top off the hikes. 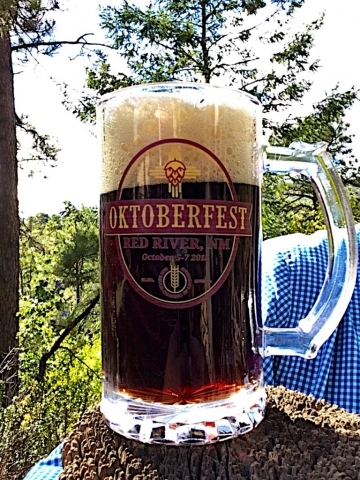 Red River was also hosting their annual Oktoberfest event that featured eleven New Mexican craft breweries. 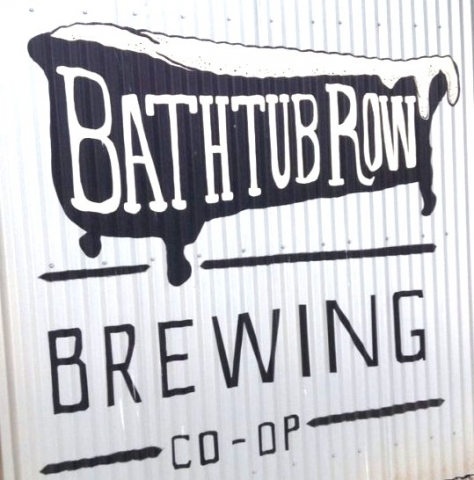 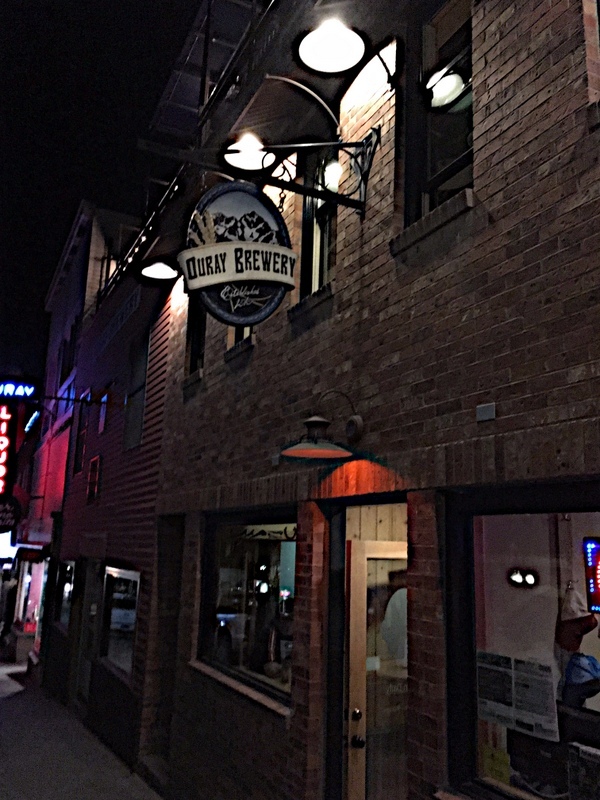 I discovered an interesting intersection between breweries in the three small communities as well — it turns out that fun times and community experienced at Bathtub Row Brewery in Los Alamos was an inspiration to the founders of Red River Brewing Company. 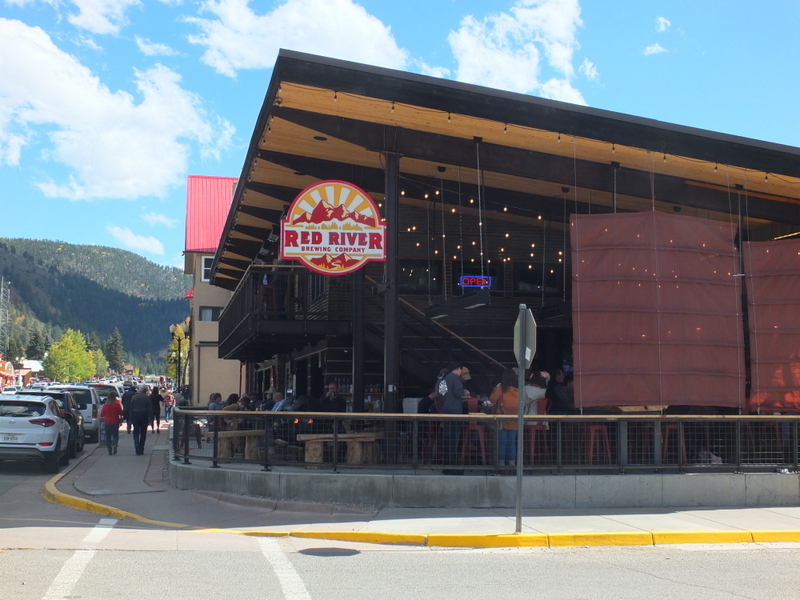 And the head brewer at RRBC it turns out, apprenticed as a brewer at Ouray Brewery before taking on his role at Red River. 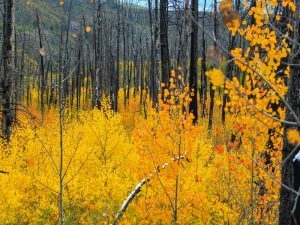 Winter is on its way, but at the same time there is a glorious blast of warming color that is always exciting to witness. 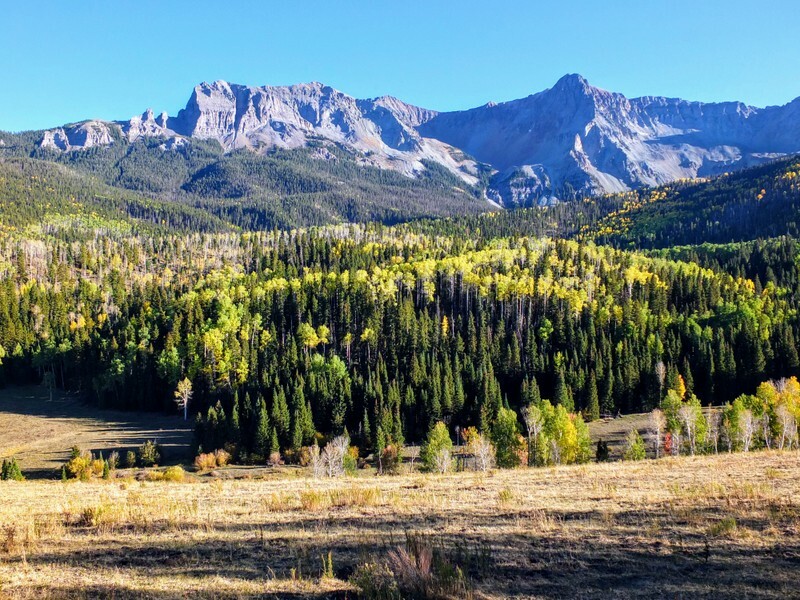 Click on any image in the galleries below to see it larger, see captions, and open a scrollable slide show view of all of the images. 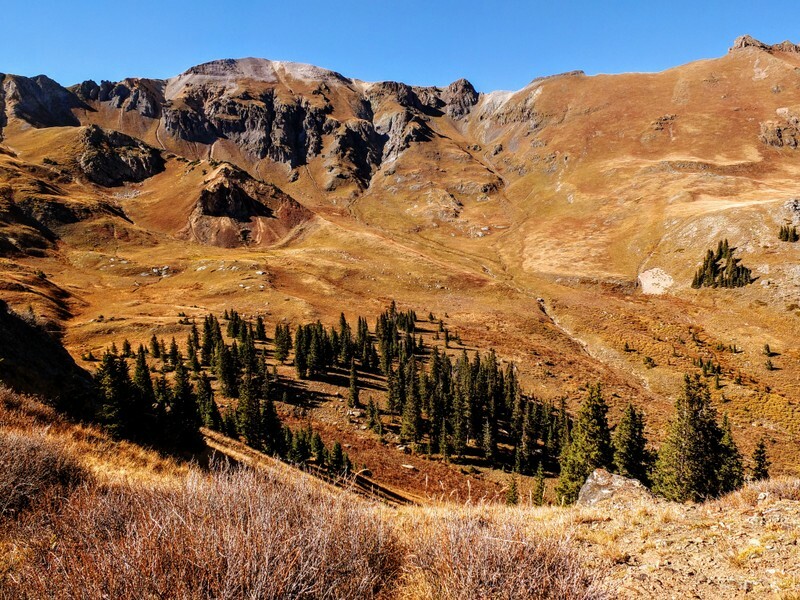 Hikes in the Ouray area tend to feature severe ups and downs without alot of flat stretches between. 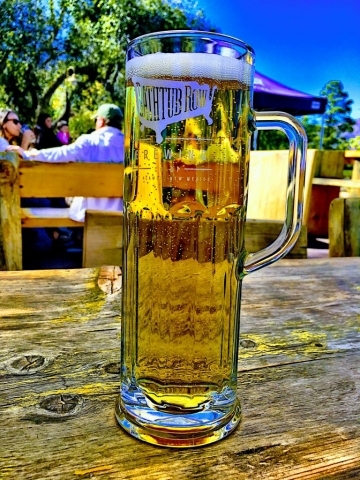 Those Ourayvians know how to work up a thirst! 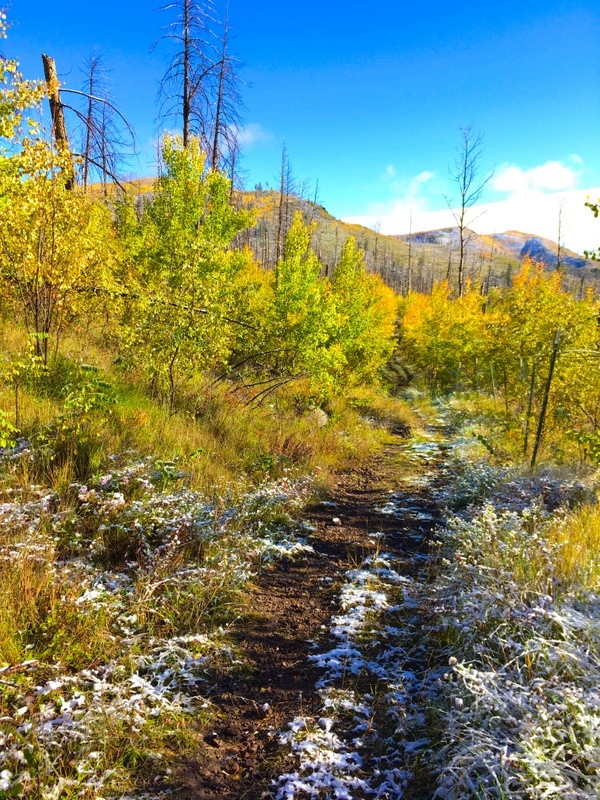 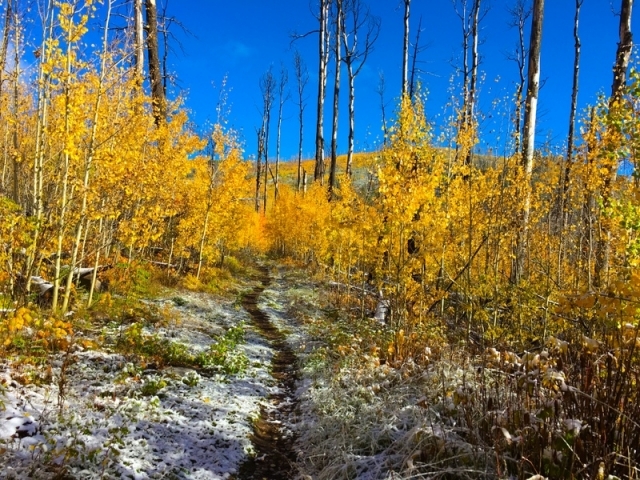 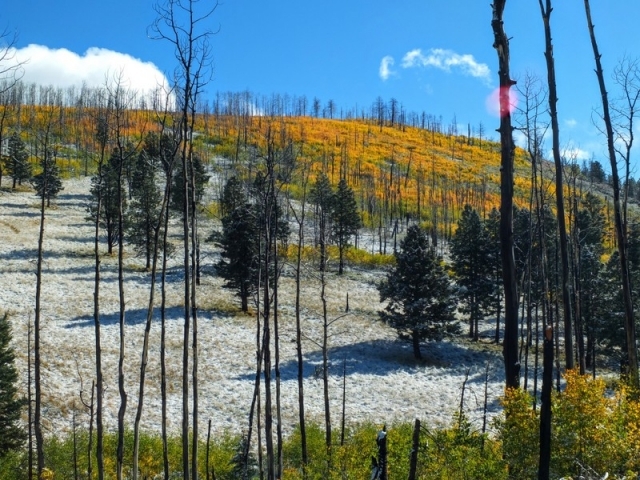 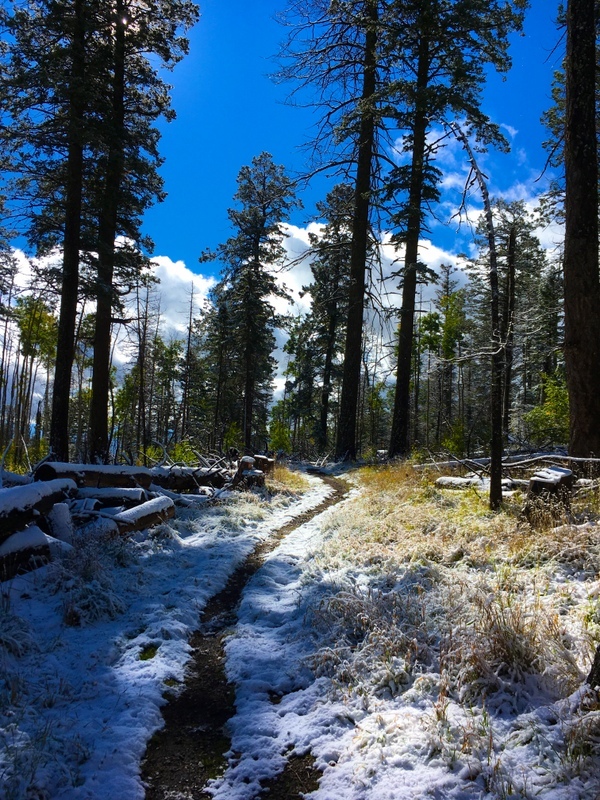 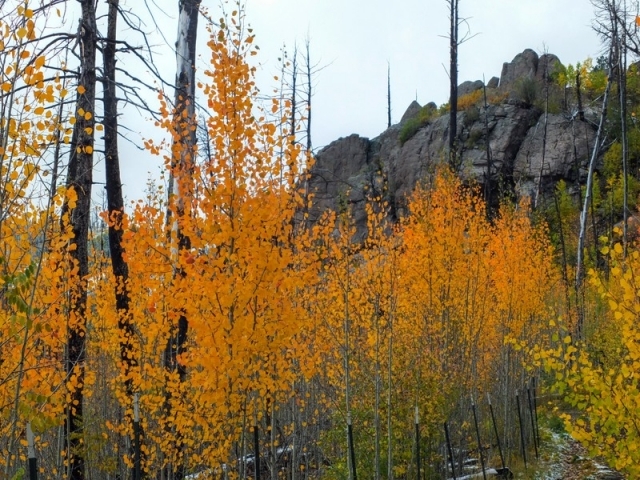 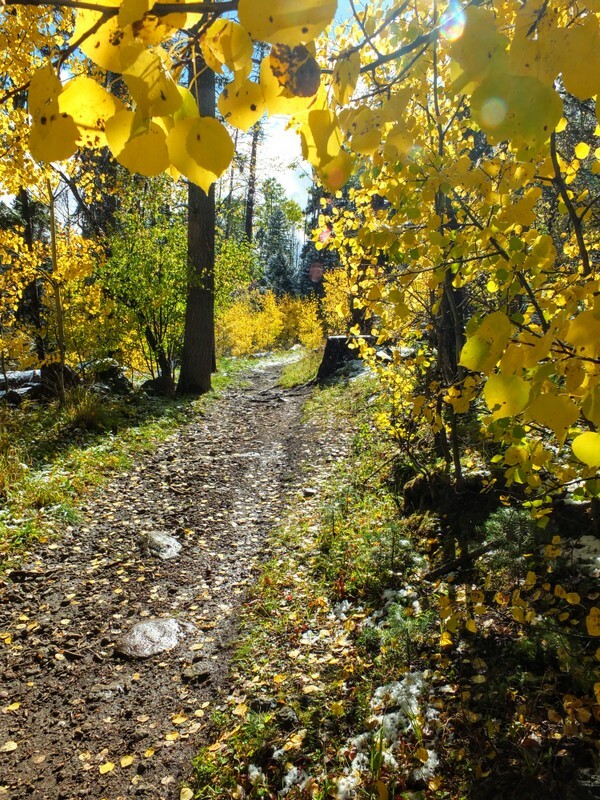 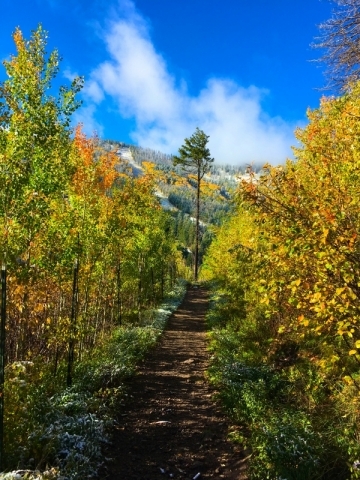 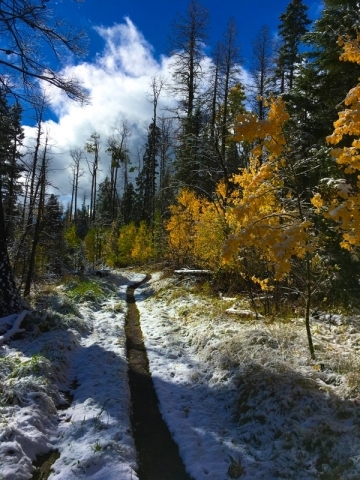 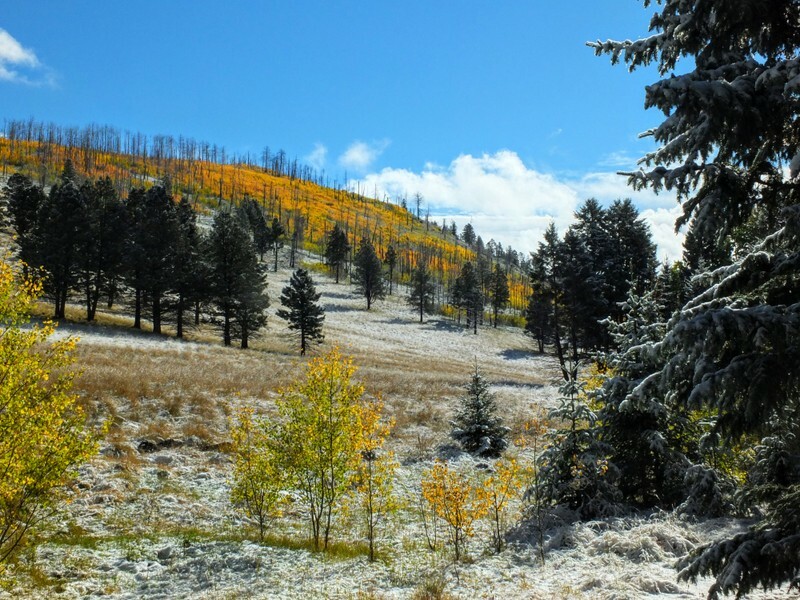 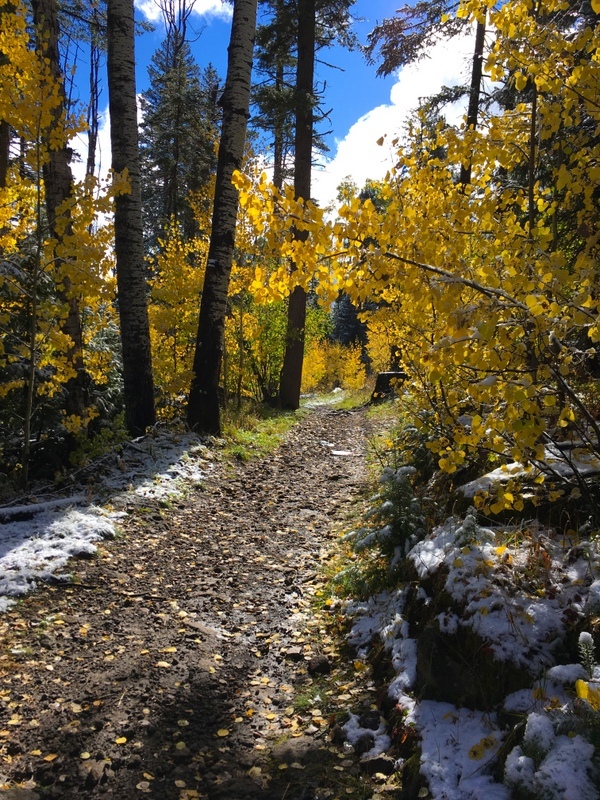 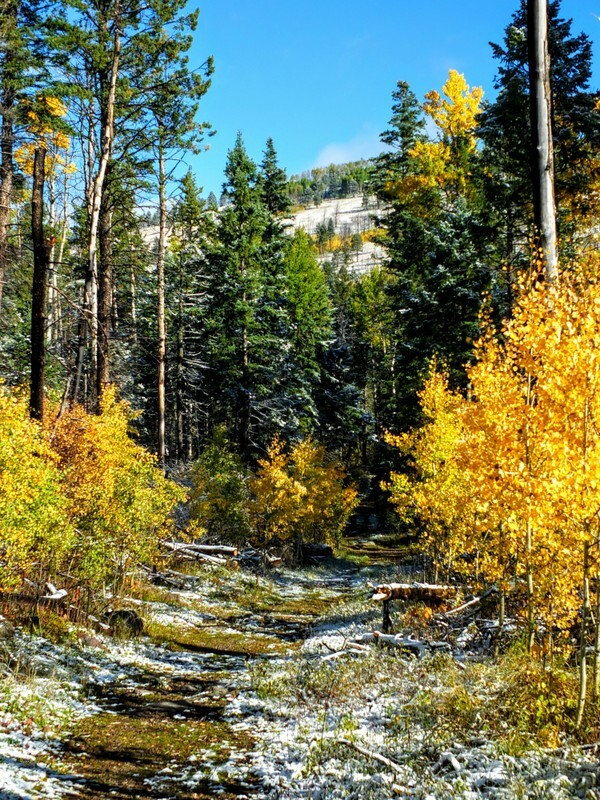 The convergence of fall colors and the first snow of the year made for interesting hiking in the Jemez Mountains above Los Alamos. 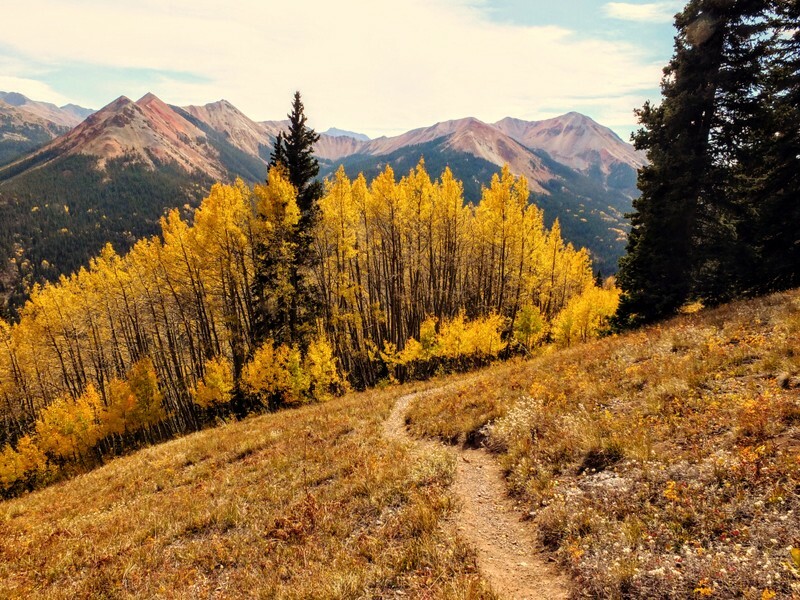 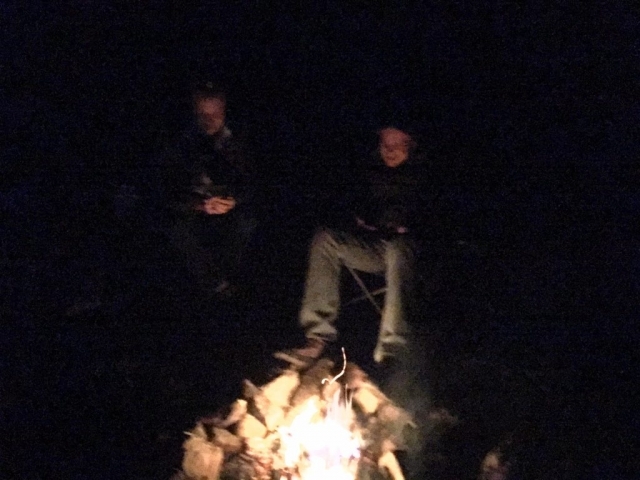 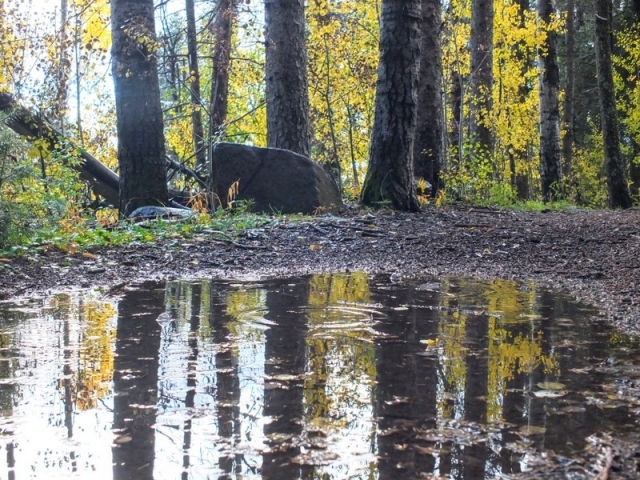 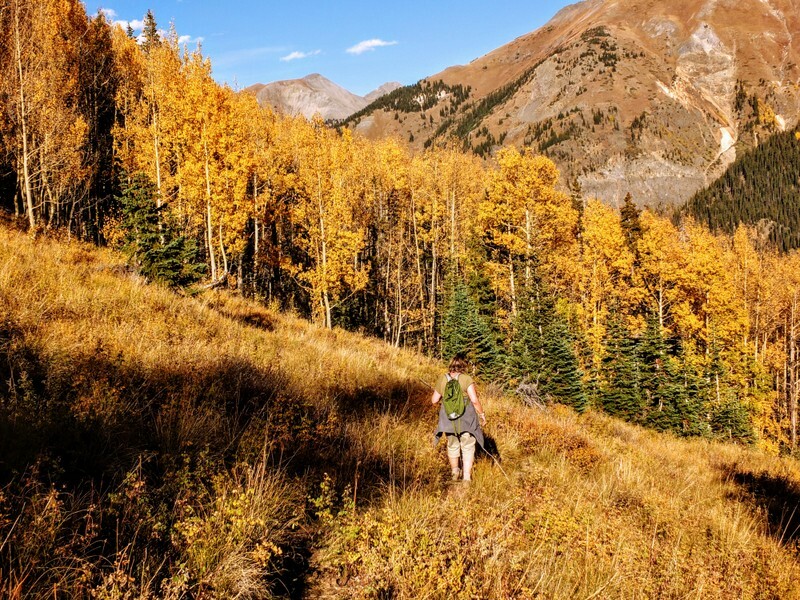 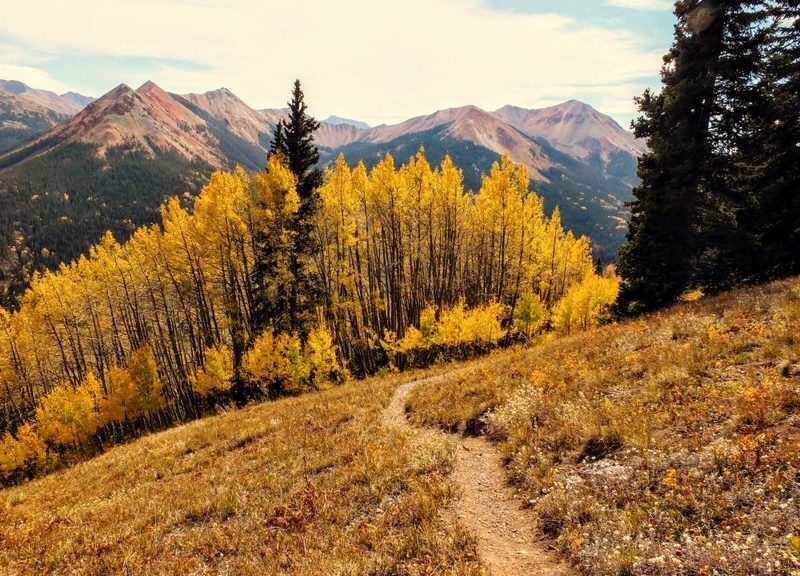 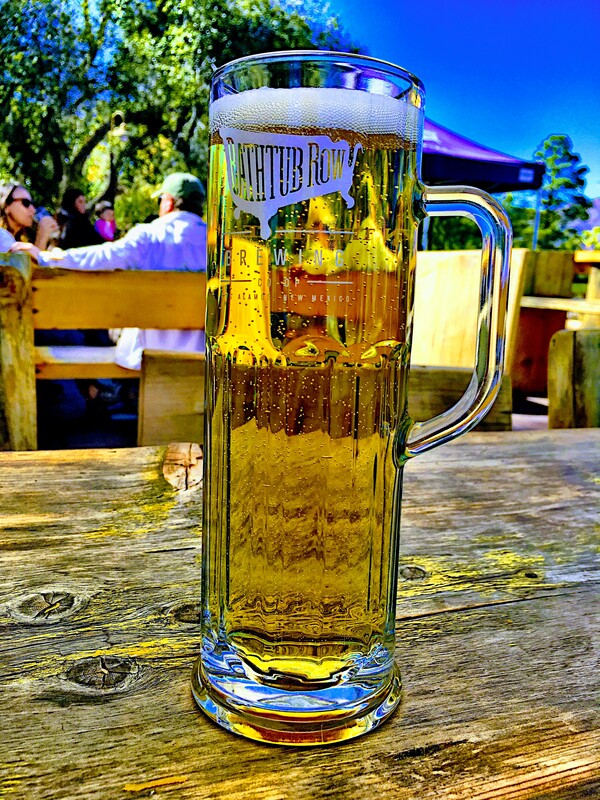 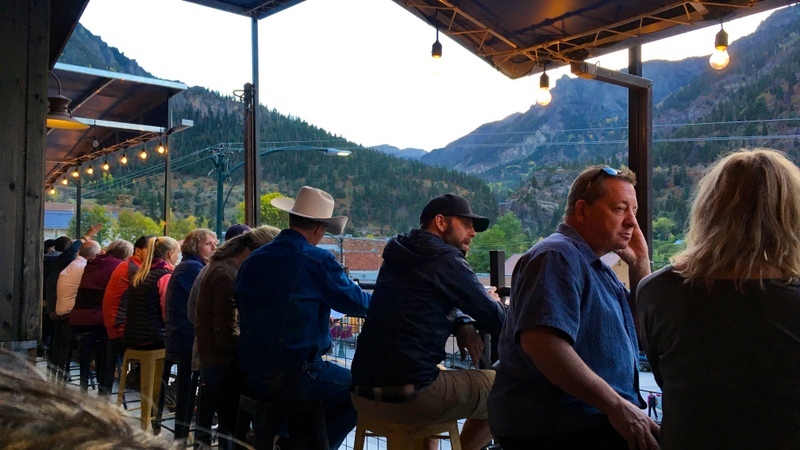 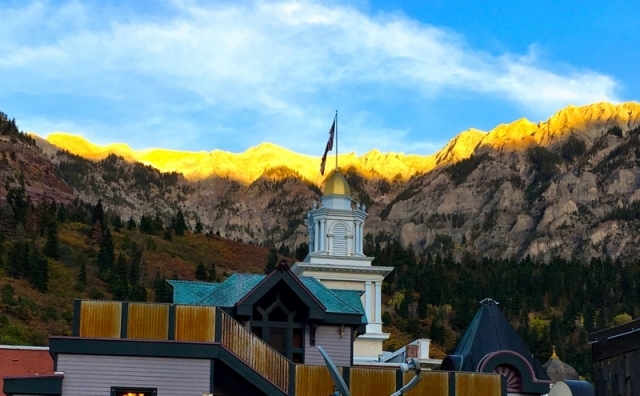 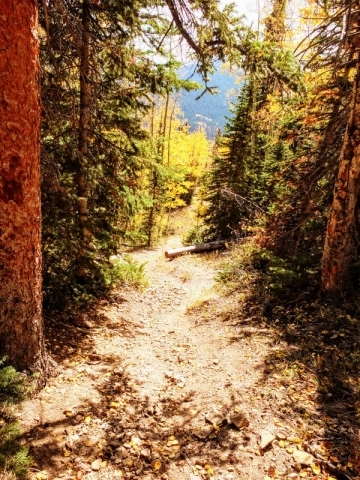 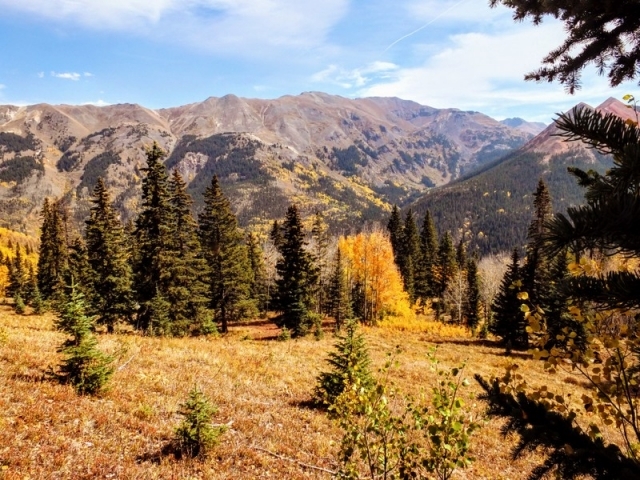 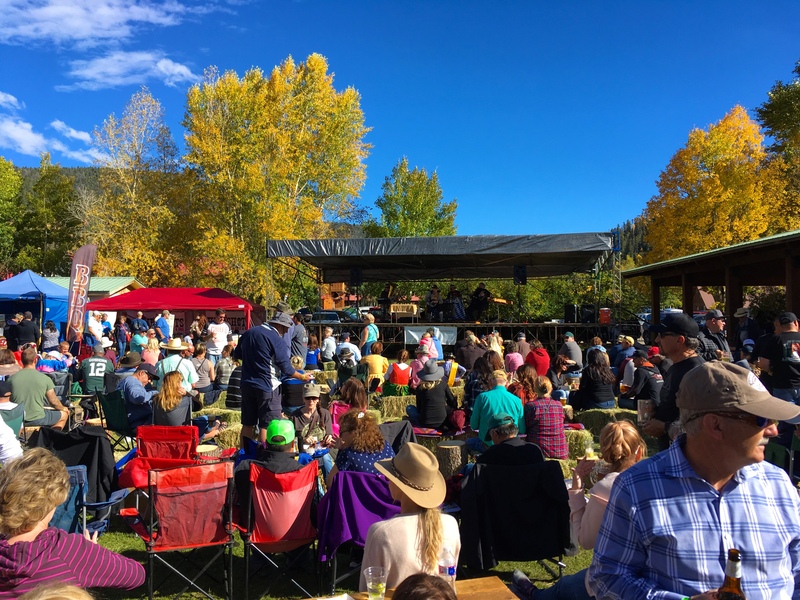 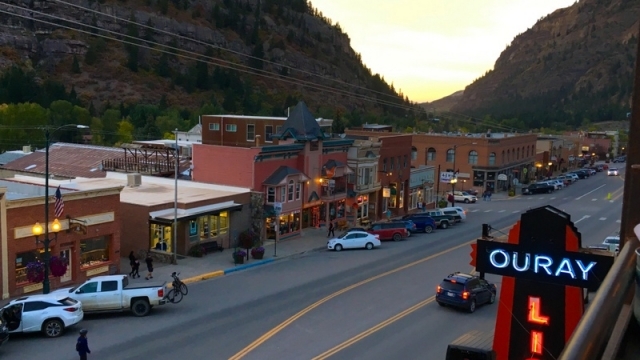 At Red River, we hiked between our informal camp site above town and the Oktoberfestival — Oktoberfest in Red River is a combination arts & crafts fair and craft beer sampling event. 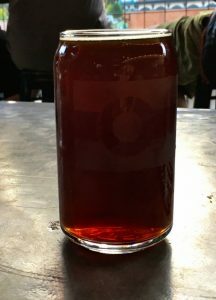 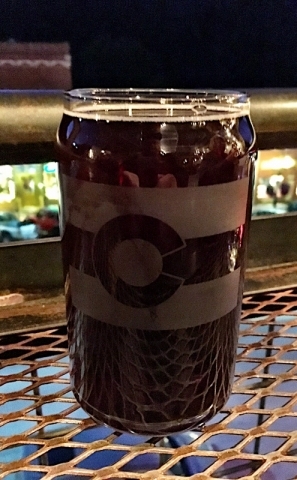 Many of the breweries had brewed a marzen-style beer for the occasion and it was fun to sample all of them and decide on a favorite — for me it was the Oktoberfest offering from Enchanted Circle Brewing Company.